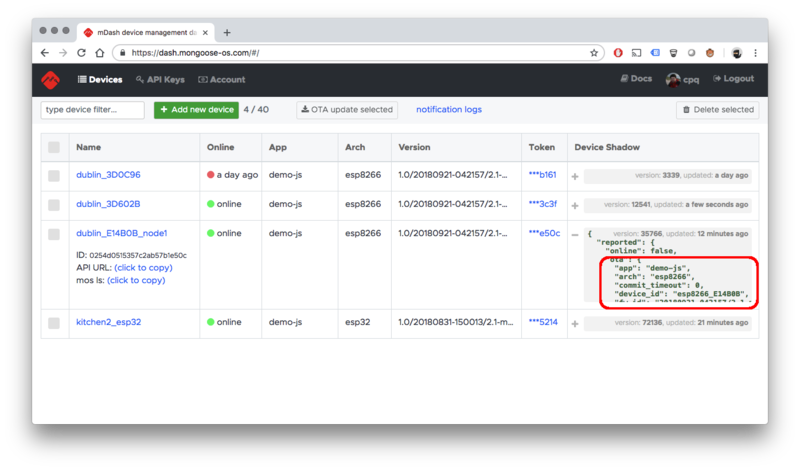 A configured device connects to the dashboard over the secure Websocket, sending a Authorization: Bearer GENERATED_TOKEN handshake header. After the successful handshake, all communication is done via the JSON-RPC 2.0 protocol. Each RPC frame wrapped into the Websocket frame. The RESTful API endpoints that the dashboard exports start with /api/v2/. The endpoints that for the individual device start with /api/v2/devices/:id, where :id is the unique device ID, generated at the device registration together with the access token.